A stunning engraved flamenco crystal high ball glass. This beautiful cut crystal high ball glass is 150mm tall and comes presented in a blue skillet box. It is extremely well made and great value for money. One of our most popular items! 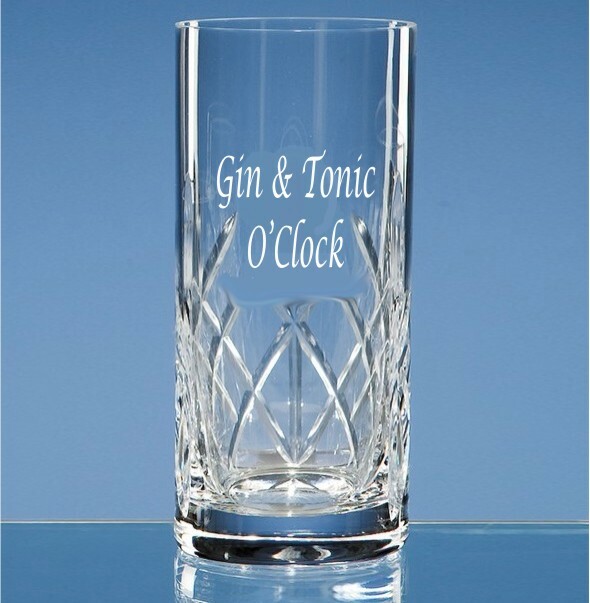 It makes a superb personalised gift and keepsake. A great Father of the Bride/Groom or Best Man/Usher present that can be used over and over and a reminder of the special occasion. You can have up to 4 lines of text. If you require more than this please contact us first before placing your order.